We are a family run company based in Leeds. Established in 1979, we have been supplying the area with fastners and engineering supplies. Over the years our stock profile has increased and we now offer a wide selection of fastners in a range of materials. We also stock hand and power tools and other engineering sundries. 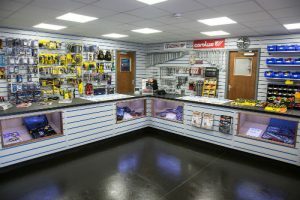 Our shop located in Pudsey, includes a trade counter where helpful staff are available to offer advice. We also offer a free delivery service within the West Yorkshire region to all account customers.